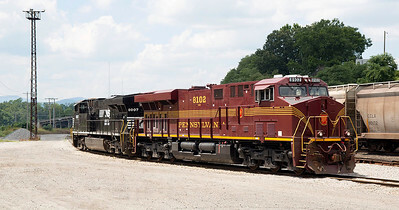 Pennsylvania RR Heritage motor NS 8102 in the South Yard Roanoke,VA. 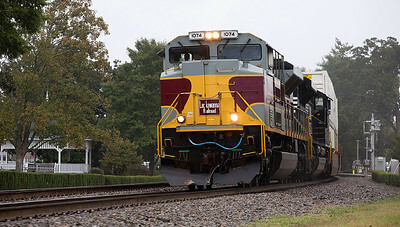 Lehigh Valley Heritage motor NS 8104 Landis,NC. 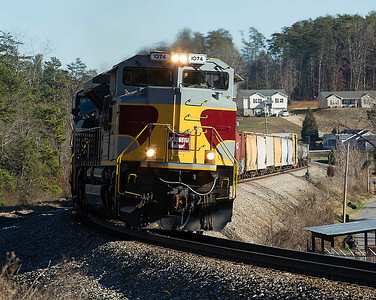 NS train 135 with Delaware Lackawanna and Western RR Heritage motor #1074 in the lead climbing Yadkin Hill at Spencer,NC. 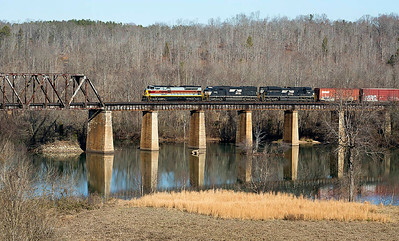 NS train 135 with Delaware Lackawanna and Western RR Heritage motor #1074 in the lead crossing the Catawba River at Catawba,NC. 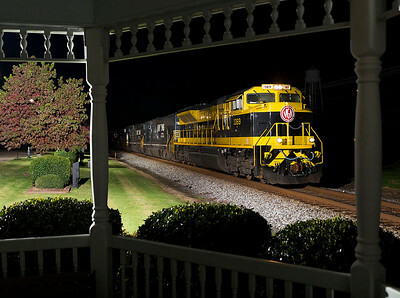 NS train 135 with Delaware Lackawanna and Western RR Heritage motor #1074 passing the Old Fort,NC depot. 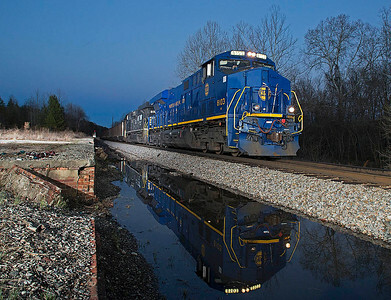 NS train 135 with Delaware Lackawanna and Western RR Heritage motor #1074 from the Old Hwy 70 bridge west of Old Fort,NC. 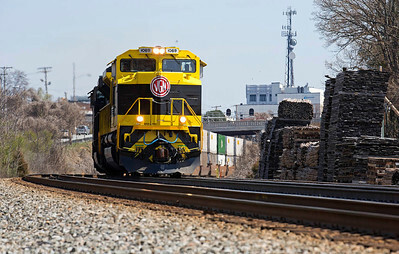 Norfolk & Western Ry Heritage motor NS 8103 leads a southbound corn train thru downtown Winston-Salem,NC. 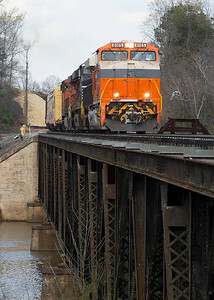 Norfolk & Western Ry Heritage motor NS 8103 leads a southbound corn train over the Salem Creek trestle on the Winston-Salem Southbound Ry in Winston-Salem,NC. 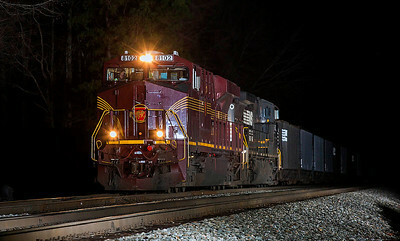 Norfolk & Western Ry Heritage motor NS 8103 leads a southbound corn train on the Winston-Salem Southbound Ry in Winston-Salem,NC. 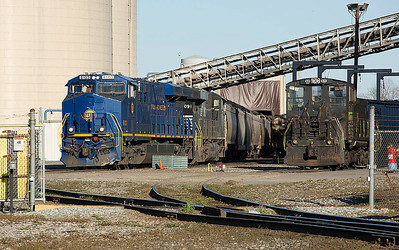 Norfolk & Western Ry Heritage motor NS 8103 spotting corn loads at the Ingredion Incorporated plant on the Winston-Salem Southbound Ry in Winston-Salem,NC. 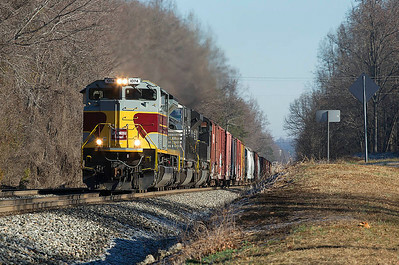 New York Central RR Heritage motor NS 1066 leads an empty ethanol train on the Winston-Salem Southbound Ry passing the Lexington Buddhist Temple near Cotton Grove,NC. 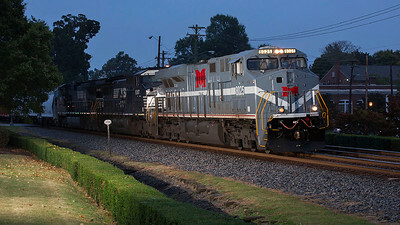 New York Central RR Heritage motor NS 1066 leads an empty ethanol train on the Winston-Salem Southbound Ry at Midway,NC. 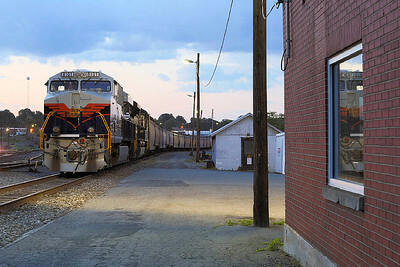 Virginian RR Heritage motor NS 1069 on the point of a southbound coal train parked in the old Spencer Yard at Spencer,NC. 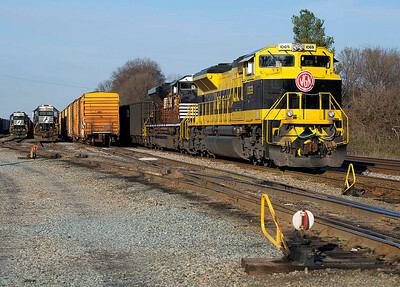 Virginian RR Heritage motor NS 1069 on the point of a southbound coal train rolling thru Landis,NC. 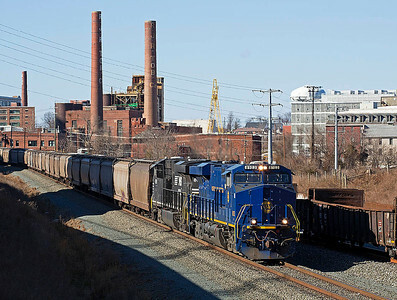 Virginian RR Heritage motor NS 1069 leading NS intermodal train 218 thru downtown Greensboro,NC. 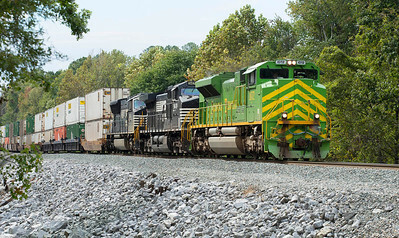 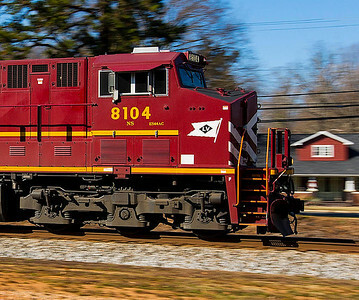 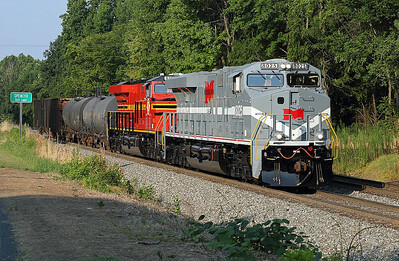 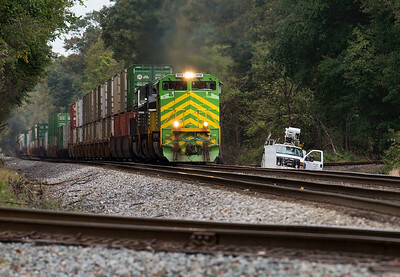 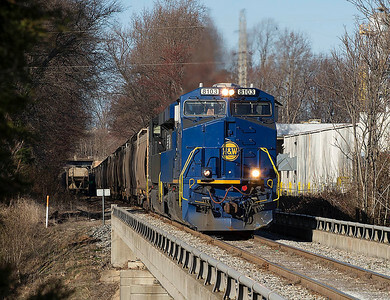 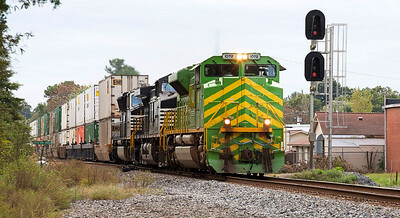 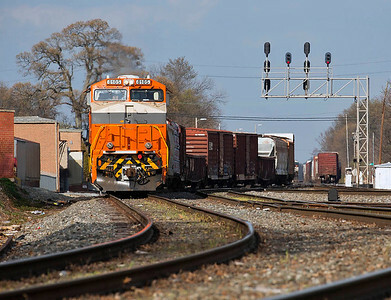 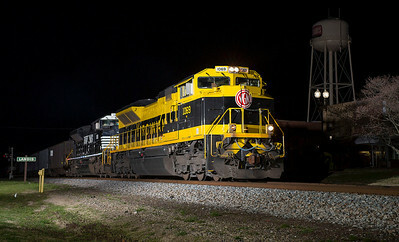 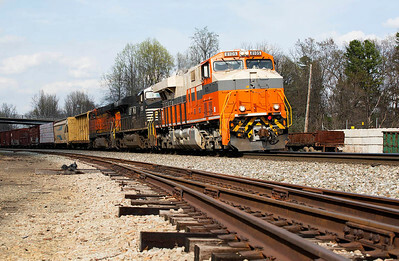 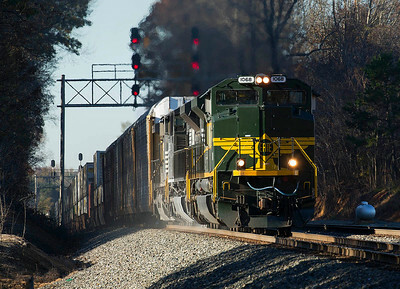 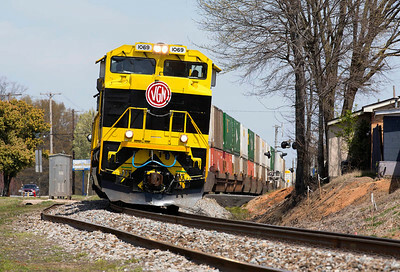 Virginian RR Heritage motor NS 1069 leading NS intermodal train 218 rolling thru High Point,NC. 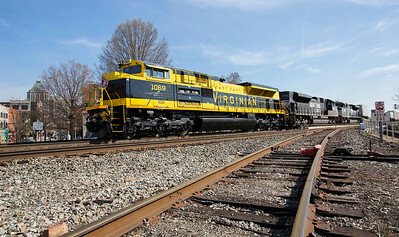 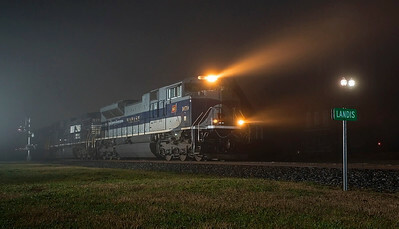 Virginian RR Heritage motor NS 1069 at Landis,NC. 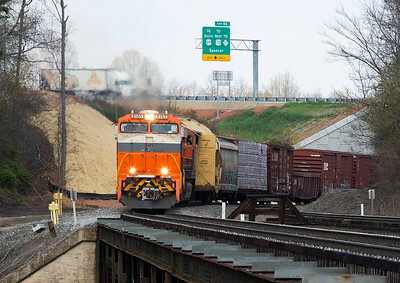 Halfway across the Yadkin River and still cloudy...of course the sun came out as soon as 8105 hit the Rowan County bank of the river where we were standing. 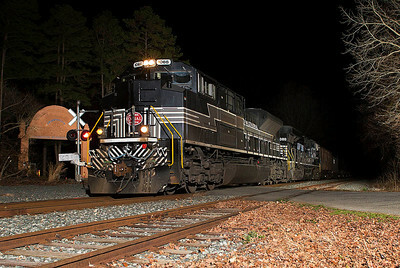 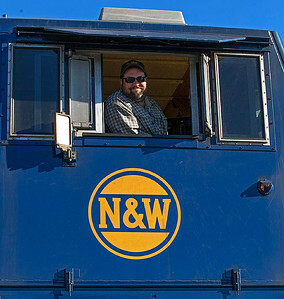 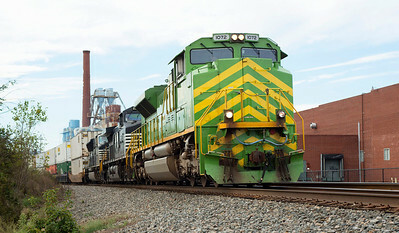 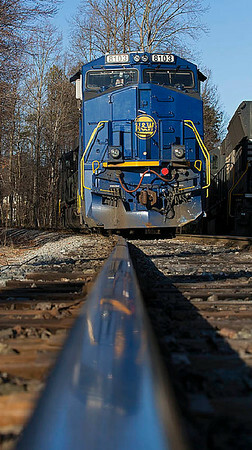 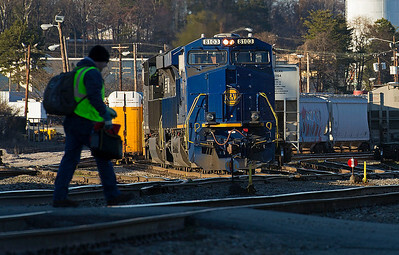 8105 switching cars and posing for pictures at 11th Street in Salisbury,NC. 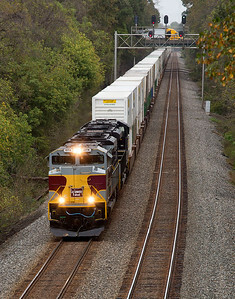 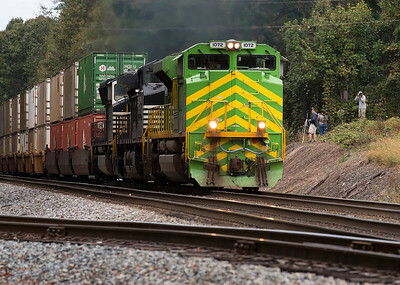 NS train 11R Linwood,NC 10/10/13. 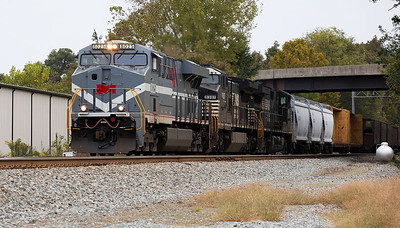 NS train 218 Thomasville,NC 10/10/13. 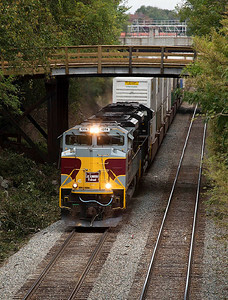 NS train 218 Linwood,NC 10/10/13. 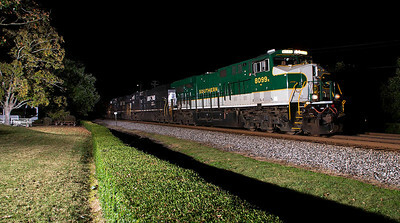 NS train P99 Salisbury,NC 10/10/13. 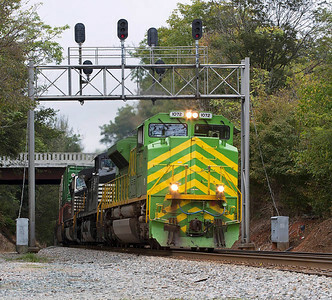 NS train 213 Lexington,NC 10/10/13. 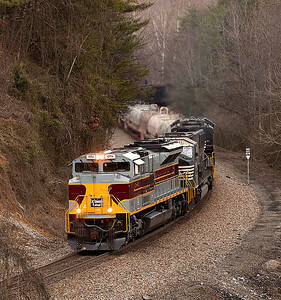 NS #1068 Erie RR Heritage Motor leads train 214 down Yadkin Hill north of Spencer,NC. 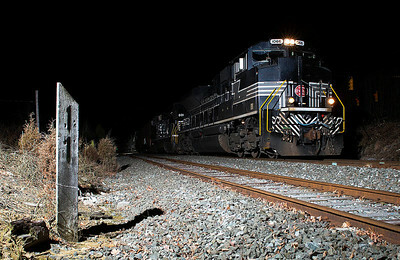 NS #1068 Erie RR Heritage Motor leads train 214 under the signals at CP Sharp in Linwood.